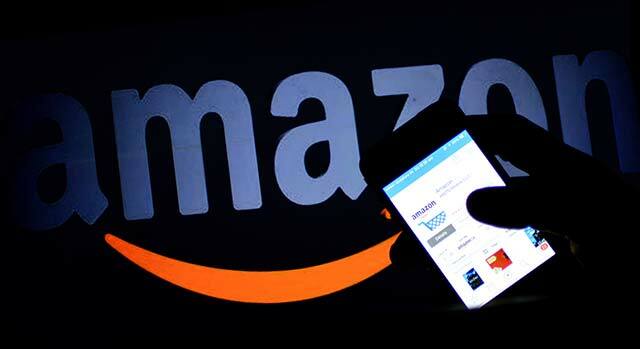 E-commerce giant Amazon Inc has struck a deal to buy a 26 per cent stake in Westland Ltd, a subsidiary of Tata Group's retail firm Trent Ltd and best known as the publisher of Indian authors including novelists Amish Tripathi and Ashwin Sanghi. Amazon will pick up the stake for Rs 9.4 crore ($1.4 million), valuing Westland at Rs 36.15 crore. The US firm will get one seat on Westland's board and will also have the right to eventually buy out Trent, the Indian company said in a stock-exchange filing. The investment will enable Westland to expand its international reach, and grow its physical and digital book businesses. "Amazon's roots are in books and they remain a major part of their business. This investment from a company with such deep experience in books, global reach and exciting digital platforms will help us take our Indian authors and their works globally," said Gautam Padmanabhan, CEO at Westland. For Amazon, which has a large presence in the e-books business worldwide and also started its own publishing unit in 2009, this marks a significant expansion of its operations in India. It is already estimated to be the second-largest e-commerce marketplace in India behind Flipkart. This is its second such formal strategic joint venture in India. Besides running its e-commerce marketplace, it also has a JV with Infosys co-founder NR Narayana Murthy's private investment vehicle Catamaran, which is the single-largest vendor on its Indian e-tailing platform. India's publishing industry is estimated at Rs 10,000 crore, according to a recent report by industry group Federation of Indian Chambers of Commerce and Industry. India ranks seventh in overall publishing worldwide and third after the US and the UK in English language publishing, according to the FICCI report. The report said that book publishing in India is growing at a compound annual rate of about 30 per cent. With an estimated 600 million adult readers in the country and a growing young reader base (15-25 years) of 350 million, the readership in India is likely to continue growing, it said. Westland was formed after the merger of Westland Books Pvt Ltd and EastWest Books (Madras) Pvt Ltd. The company shifted its focus to publishing after 2007. Besides Amish and Ashwin Sanghi, the authors listed with Westland and its imprints Tranquebar and EastWest include Rashmi Bansal and Devdutt Pattanaik. For the Tata Group, this is the third such strategic move under its retail arm. Trent, which also runs Westside departmental chain among other ventures, had previously roped in the UK's Tesco as a partner in its hypermarket business. This was the first and to date the only such multi-brand retail chain to attract foreign direct investment after the previous government eased rules for the sector to attract foreign capital. Trent also has a 49:51 joint venture with Inditex to open stores for the Spanish firm's fashion apparel brands Zara and Massimo Dutti in India. Trent was also in talks for a partnership with TVS Capital, a private equity firm run by TVS Group's Gopal Srinivasan. As per Trent's annual report for 2014-15, the PE firm held an option to pick up a minority stake in Westland. There has been no formal announcement for this and it couldn't be immediately ascertained if that deal has fallen through. Westland had accumulated losses at the end of March 31, 2015 that exceeded 50 per cent of its net worth and had incurred cash losses last year and the year before. Its revenue fell to Rs 15.19 crore in 2014-15 from Rs 19.63 crore the previous year and net loss widened to Rs 5 crore from around Rs 4 crore. Amazon.com Inc Tata Sons Ltd. Trent Ltd. Westland Ltd.